12 Tips to Make Your Flash Photography ROCK! 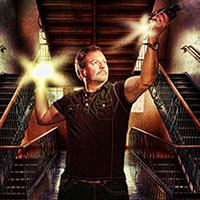 MICHAEL MOWBRAY: PHOTOGRAPHER, TEACHIFIER, PHOTO EVANGELIST -- Michael is a noted speedlight expert and the best-selling author of flash photography books Shoot to Thrill and The Speedlight Studo. These are available on Amazon, Barnes & Noble, iBooks, and wherever fine books are sold. You can see more of his photography at www.beautifulportraits.com. The MoLight Store is OPEN! Check out the amazing deals on speedlights, superflashes, softboxes and more at the MoLight Store. Looking for my portrait and wedding web site? New programs and speaking dates for 2018! Want to stay up to date on what I am currently up to? Follow my feeds on the various social media sites. I use each site for a different purpose, so here’s a quick explanation so you can latch onto the feed that makes the most sense for you. Twitter: My twitter feeds cover two areas — pro photographer education and special announcements and offers for consumers. See something you like? Retweet it to your friends and associates. Facebook: I have three Facebook entities — my fan page, my group and my personal site. My Fan Page is primarily for photography clients and fans of my work. My Group is dedicated to professional photographers only. Just let me know if you would like to join. Finally, my personal site is primarily just for social interaction. Download a FREE PDF of The Art & Business of Headshots simply by subscribing to my mailing list.